Friday Jul, 10th 2015 Hello my lovely and beautiful friends; sisters and brothers. Archangel Metatron is now growing in unison with each worldly incarnation of Angelic History. Blessings to all, despite race, colour, creed, all those within enlightened intent and even those misunderstood hiding in the dark, blessings to one and all alike. As A poetic request to align our magnetics once again. I am formally asking you all to take some time to soak this in and respond from the truth of your hearts. I am honoured to know all of you fellow brothers and sisters and value your wisdom as I cherish my own as I always return my hearts gift to all those whomever need it. Bless you all! ♥ Jacob In Charity, please receive this gift with gratitude and watch how each our hearts spring through the brightest summer of many many years. You must believe that when we are all connected in TRUTH with MOTHER/FATHER GOD earned in their trust, that we are gifted the empowerment to even affect the sun with the power of our benevolence as through our hearts intention to give what lives within us. That "charity" towards your fellow man; each and every brethren, both sisters and brothers, is magical. Test this for yourselves by opening your heart to Mother Gaia, because she needs us now more that you can ever imagine. 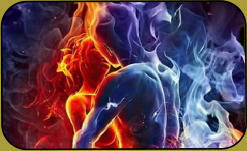 Better yet, open your heart to your Twin Flame and watch how the sun becomes slightly brighter! This is not a hoax. This is the power of divine willpower and your infinitely powerful mind knowing thyself within your hearts TRUTH; ONE TRUTH as through the sight of you and at least one other. This is the church as we rise in love from the fall of man, dear brothers and sisters. Whenever one or more sit in worship the love that exists within ALL THAT IS, or even in admiration of so simple as a flower blooming beneath our feet, we are in worship of Gods' TRUTH, but not in hindsight nor foresight, but perhaps in deja-vu; multiple visions upon one topic or object, sharing ONE SIGHT, multiple thoughts sharing in Charity and Unison and spoken in as many tongues as those sought to gift a charitable voice in relation to such a beautiful gift to us all, the flower. Is it blooming? It is offering its seed via the bees that rest upon and glide through is such ease? Is it the frailty that it returns to Mother Gaia once more? Has it stood its test and trial of time? Or, is it the temperance of time that its seeds are scattered to live eternally generations hence forth? How many perceptions does it take to truly know ALL THAT WE ARE as ONE GOD in ABSOLUTE TRUTH? How do we answer this? By living a witness that life is a cycle, unending, so long as the light of GOD shines through the light of our eyes, so long as our mindfulness to breathe in praise of these moments, so long as our hearts receive these perceptions of others as the likeliness to rise once more as ONE GOD. These are the rays of light that keep GOD'S Light as infinite and boundless beyond any existence we are all incarnate shining Mother/Father God's rays of light upon each flower, bee, bird, tree and humanity, just so long as we are nurturing to those roots we are held steadily by witch to fly when ready. Living in faith and In group and/or twin meditation, we can learn to shift our Mother Gaia as a people among her, not upon her. Rather than waiting in fear for what may or may not happen, know the shift is happening now; you all must simply choose to accept the role we play in this grand show. 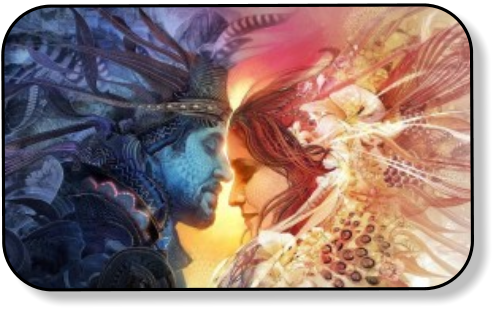 Your twin flame can be world(s) apart and you can still reach them. 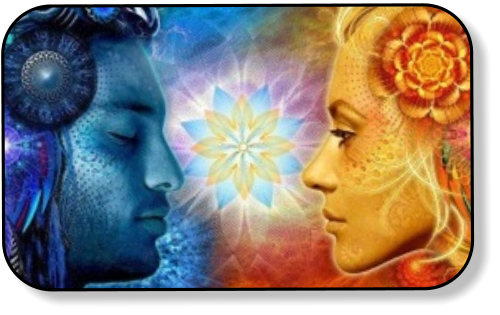 Just focus your exact mirror as Male and/or Female and give your heart and mind to that signal and the door of infinite golden blissful rainbow cords will shine upon us all, especially the twin you are searching for. 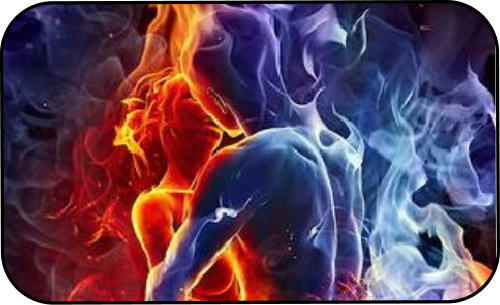 It is not necessary to be with your twin flame romantically at this time. In fact it will be very difficult if you try to do so before healing your angelic past with her/him. This takes very hard work, faith, dedication and devotion, but this can indeed be done so in grace as through our Mother Archea Mary's always ready to gift a helping hand as a rainbow living within you for when and if you and your twin flame are both ready to address those old sacred vows and promises from whence before we all began incarnating as living angels and archangels. All of the archangels can do this for you, but you may be prompted or drawn towards one in particular. All the archangels and Archea are working throughout time right now, but time is endless dear sisters and brothers, so why fear time at all or ever when "I AM" is always?! Know this; "YOU ARE... ALWAYS!" Your own faith and trust will carry you over the Rainbow Bridge of Divinity when each of us live with no fear, no judgement and no attachment. This attachment to that witch is not who we are in any facet, only holds you back, so long as that item or individual is not on the same path, time and space as you are. We do not take belongings with us, we do not even take our cats, although they may surprise you by being there already awaiting and purring in anticipation. Have Faith, Trust, be honest and Charitable and always fill your heart with Gratitude no matter how difficult each our journeys have become. We are shifting mother Gaia as One existence. Now that is something I pray we each and everyone meditate on in a living prayer; our dear precious Gaia. However, as we are in the process of nearing a shift with Mother Gaia, magnetically, so is it the very same with our relationship to your twin flame, (Positive Masculine/Negative Feminine), just as that plus:minus lives within us each as an individual with our right side being our masculinity and the left side being our femininity, it is simply in the ownership and accountability of each of us individually that we KNOW thy selves in TRUTH. And for goodness sake, do not attach evil or darkness to negativity when speaking of magnetics; it is simply the wholeness, yin/yang or both sides of the coin that allows us to be golden within. We are ALL, each and everyone of us both sides of the free will spectrum of choice in every given moment the thoughtfulness is part of each mind, set apart by no other. It is that golden flame that holds us together from exploding in fear, sadness, anger, love and even in the most dangerous of all; lust. It is when someone is magnetically attracted to another, this is usually a very favourite soul star or perhaps their twin flame. Time seemingly stops in those moments of meeting the light living inside our eyes, if only relatively as we stand still in awe of that moment; remember love, truth, heartache, pains and of course the wonders of everlasting hope that love in truth will be granted by divine will. One is NEVER lesser nor greater than the other; we are equal reflections of divinity living in perfection in the acceptance of our individual mistakes, as in knowing our mistakes are sins forgiven, yet lessons proven in growth within the Emotional body. This Ethereal God Self. And it is our magnetics that pull you together, either as twin flames in absolution, or as soul brethren learning of togetherness, not always about romance, simply synergy and harmony. In this way, nature and science work in tandem; the Temporal(Conscious) Life cycle and Spiritual(Sub- Conscious) Life carried thereafter working as one that aligns us magnetically together. So opposites do not ever attract, do they? Hehe Just try not thinking of Him/Her as your opposite, because He/She is your exact equal, your laughter when you cry, your tears when their heart bleeds dry; He/She is your compliment and your stomach when words fade into butterflies. From the perfection He/She is to you, because He/She is the very manifestation of those butterflies that carry you together in those moments of passion, holding hands, tasting lips, heart warming kisses; your rainbow cords in permanence, He is your temperance living within YOU as She is the Space you fill her in absolution too. So long as the magnetics of gravity is in synergy, you cannot falter, spiralling out of control in anger, jealously or disloyalty. Likewise, neither can your twin falter so long as that full spectrum awareness, the divinity that you are as one lives and breathes in unison, there is nothing, no force, no evil, no jealousy outside of you. Nothing can force you to collapse, even when the pain of separation lapse when your twin heart feels as a black hole collapsing upon everything, remember that nothing you two are is illusion... You; your twin are "always" in unison. Believe! And most of all, do not fear your twin flame will pass you by, leave you behind or visa versa, because she or he is part of you infinitely and you will with these intentions of Charity shift as one multidimensional being... So "May It Be... A promise lives within you" ...each and every one of you, as we contribute to the shift of Mother Gaia by releasing her burden of magnetics chaotic. This work we must do is a balance between twin our individual magnetic vibrations, the twin flame unity shared magnetics in reflection of the highest light that lives within each us all and as brethren and of our Mother Gaia in Unity as one. In Loving Gratitude, Blessings to one and all. Let Hope and Charity restore Grace to us all ♥ Jacob Please consider “Sharing” this page with your friends and family. Or you can “Like” Divine Willpower at the top of the page.